Ever given thought to how you can escape from the issue of “iTunes could not connect to this iPhone an unknown error occurred (0xE8000015)"? As an iPhone user, there's a good chance of coming across this error when trying to transfer data and we know just how annoying it can be. There are several different reasons why your iTunes could not connect to this iPhone, but the good thing is, you can always find a way around it! That said, here are some foolproof fixes you'll want to try right now. Automatically detect your iTunes and repair the components issue in just 1-Click. 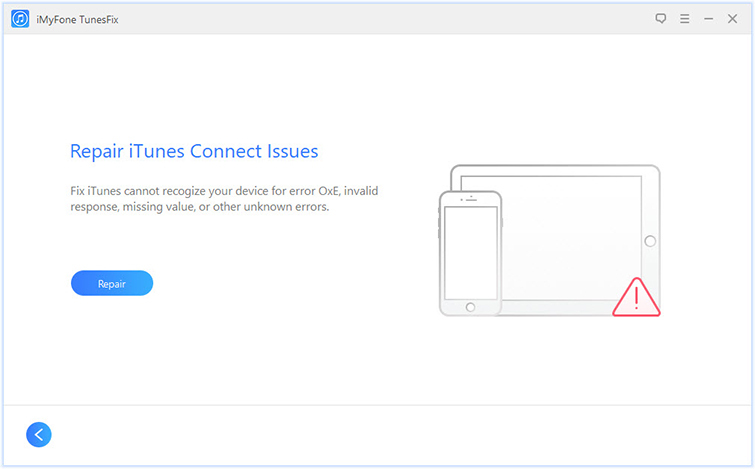 Fix a variety of iTunes error, like iTunes Error 0xE8000015, iTunes error 9, iTunes error 4013 and 100+ more. Clean you iTunes to free up space and make it run faster. Completely uninstall iTunes without any residues. Step 1: Open iMyFone TunesFix, it will start to detect your iTunes automatically. 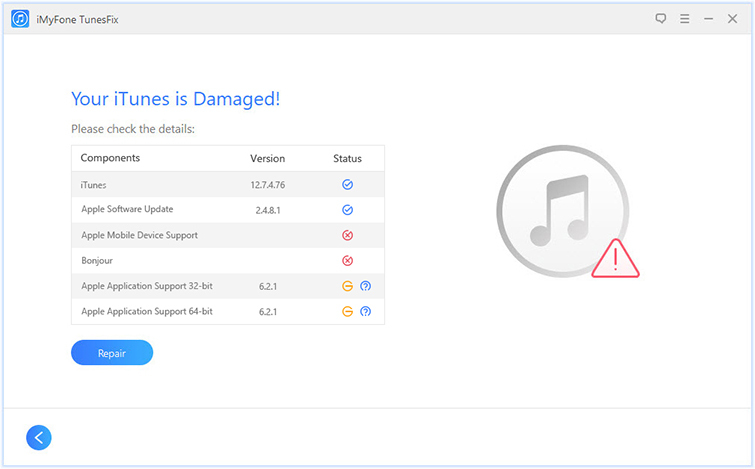 If the software shows "Your iTunes is Damaged!”, click "Repair" button to fix it. Step 2: If the automatically repair cannot fix the problem, then go to the home interface and select "Repair iTunes Connect Issues". Step 3: Click "Repair" to let it start to fix your iTunes issue. Step 4: When the fix is done, you can click "Open iTunes" to see if your iTunes can connect to your iPhone. The iTunes Error 0xE8000015 may be as a result of forgetting the passcode or the iPhone itself is disabled. At this point, it's in your best interest to put the phone in recovery mode. Step 1: Turning the phone off while plugged into the computer then hold the home button and turn on the phone at the same time until you see the iTunes recovery logo. 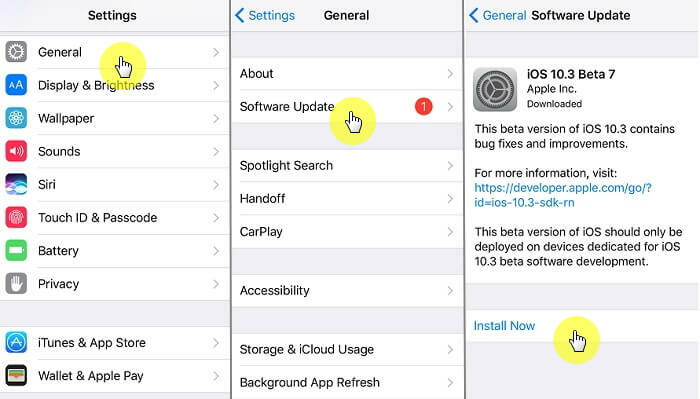 Step 2: Choose the "Restore" option, which will immediately wipe your phone and re-download the iTunes software for your device. It's good to know that there are times when a simple reboot can fix iTunes could not connect to this iPhone an unknown error occurred, but if that doesn't work; you may have to hard reset your phone. It's important to note that the hard reset erases all the information on your phone and restore it back to its factory state. Step 1: Press and hold both the Home and Power button until the screen of your phone goes blank. 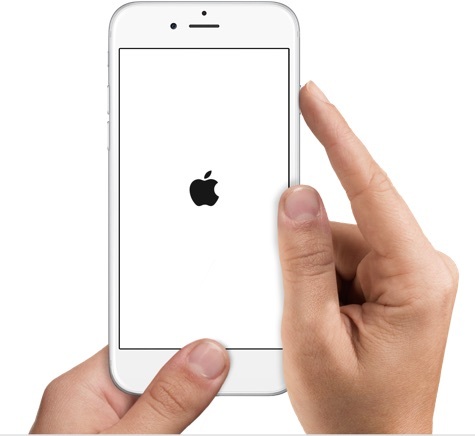 Step 2: Once you're done, press the Power button until the Apple logo appears on your screen — it's as simple as that. At this point, you'll want to ensure that your device is connected to the internet regardless of whether you're using cellular data or Wi-Fi. First off, if you're using cellular data, be sure that's it's turned ON before hitting the download button. On the flip side, if you're choosing Wi-Fi network, ensure that it's stable and your phone is displaying excellent signal strength. 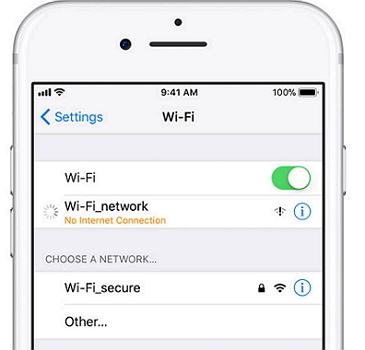 It's also good to point out that a strong Wi-Fi network is sure to be your best bet if you're looking to download large files from iTunes — your cellular network may cause iTunes Error 0xE8000015. There's a good chance of setting one or two restrictions on your phone which may eventually affect data transfer from iTunes. If this happens, your phone will be detected by iTunes, but data transfer will be impossible. Then the iTunes Error 0xE8000015 will occur. Step 1: Just open settings. Step 2: Tap on General, then Restrictions and just hit Disable Restrictions. Can you recall the first message you saw when you connected your iPhone to the computer? 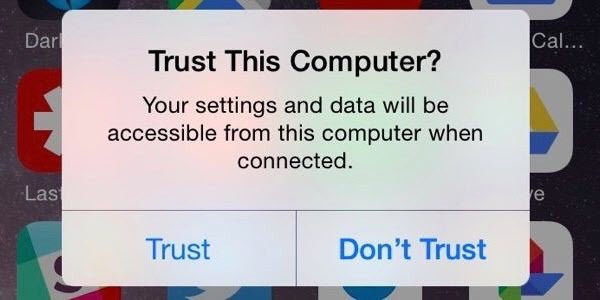 Did you see a pop-up message which reads "Trust this Computer?" we're pretty sure you did! Well, If you ignored it, I'll recommend you reconnect your iPhone and Tap on the Trust button. There's a good chance of resolving many iTunes could not connect to this iPhone problems when you follow the prompt. It's also good to know that iTunes could not connect to this iPhone may be as a result of a faulty USB port. That said, you'll want to connect to a different port and see how things work out. Did you download the correct version of iTunes on your Windows computer? Not sure? Well, iTunes Error 0xE8000015 may be as a result of downloading an incorrect version, so you'll want to check to be 100% sure. For the most part, iTunes comes in 32 and 64-bit versions — be sure to choose and download the right version! It's also important to use the latest iOS software to avoid unnecessary problems. Want to check for updates? Step 1: Just Tap Settings. Step 3: Then hit Software Updates to check for updates. 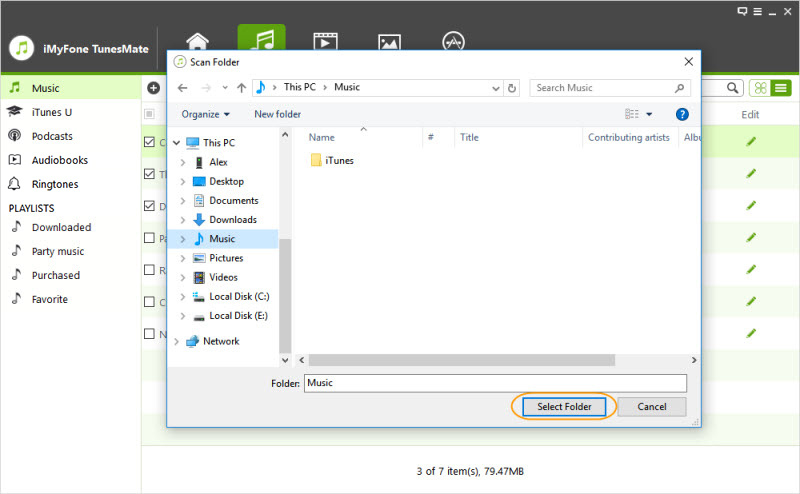 Looking for a sure way to transfer music from your iPhone to PC and vice versa? If yes, you'll want to enter iMyFone TunesMate. As we know, it can be difficult to enjoy this function with the popular digital music store, iTunes and you just can't quit transferring files, right? iMyFone is an excellent transfer utility that makes it incredibly easy to move just about every file type between your iPhone and PC. You can also transfer from iTunes to device and vice versa! It's fully compatible with iOS 12 and older versions. Transfer all your files without causing any damage to your iTunes library. Transfer non-purchased music between iPhone and iTunes. Preview files before it transfers them and it supports all kinds of files including Music, Playlists, iTunes U, Podcasts, Camera Roll, Audiobooks and more. Restore iTunes your library to the way it was before should the files get corrupted. . Receive lots of positive reviews from Getintopc, Geekreply etc. Step 1: Start by downloading TunesMate from the official site, then proceed to install and launch it. 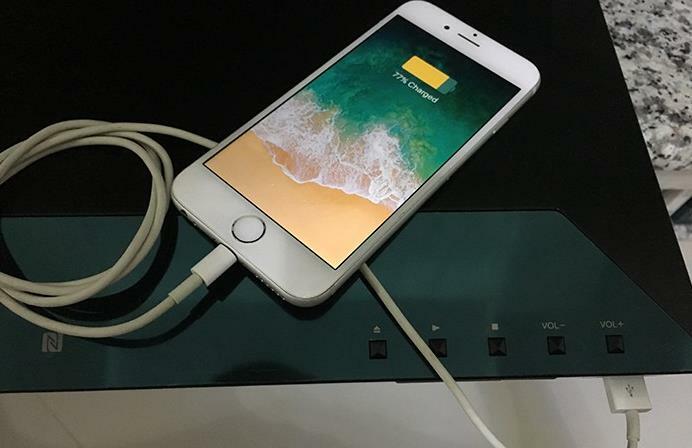 Now, plug in your iPhone to your PC or Mac. Step 2: Now click on the "Music" tab — you can easily find it at the top of the interface. At this point, you should be able to see the music from your device populating the screen. 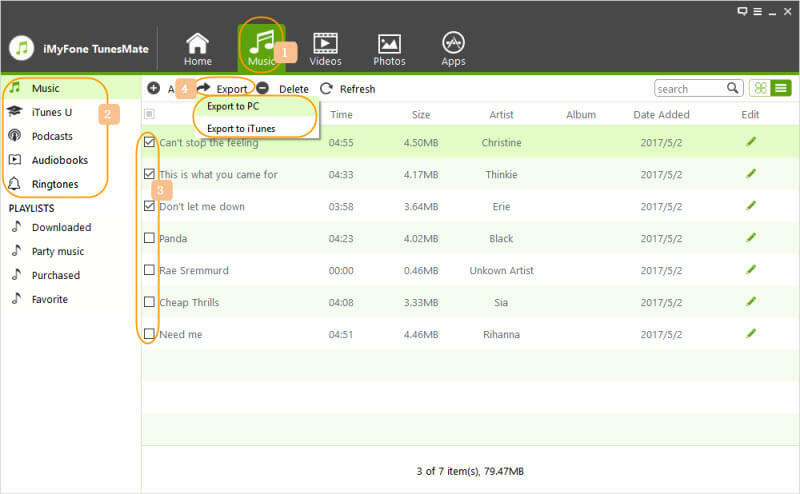 Step 3: Just select the songs you want to transfer, then click "Export," followed by "Export to PC." Now browse to locate the folder where you want to send the files and click "Select Folder."